I hope everyone enjoyed last week. It allowed me to enjoy the explosion of offense we have seen this year, which I love. In my opinion, this is only the beginning as we translate into a game where speed is a must. We’re going to see plenty of it Sunday with Panthers at home versus the Giants. We also get to see two star running backs in the making, along with OBJ and Eli Manning. 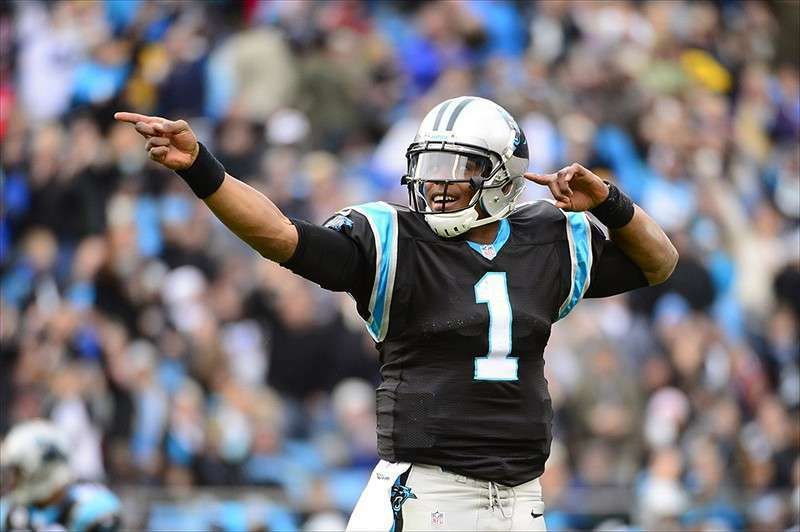 I’ll give you some projections for our favorite Panthers in your fantasy and your DFS lineups. Let’s go! Cam Newton ($6,400 DraftKings, $8,400 FanDuel): Cam continues to please those of us who drafted him in season long leagues or play him in DFS. Take week 3 for example: 15/24, 150 yards passing and 2 touchdowns would leave you disappointed, but add the 36 yards and 2 TD rushing, and you have an elite QB performance. Remember, rushing TD’s count for 6 points while passing TD’s count for 4. Based on the Giant’s secondary, I would expect similar numbers this week from Cam. He’s going to have a tough time finding open receivers with Eli Apple and Janoris Jenkins on the corners, which will cause him to use his legs to get first downs and hopefully a TD or two. Just remember, if his passing numbers are down, it’s probably because they are winning and pounding the rock. Christian McCaffrey ($8,000 DraftKings, $8,100 FanDuel): What if I told you that CMC’s 28/184 yard outburst versus the Bengals wasn’t as good as his performance before where he gained 55 less yards? Depending on if your league is PPR (Points Per Reception) or not, McCaffrey may have gotten you 6 less points from week 3 to week 2. I don’t see many more two reception outings, as the goal is to get him close to 30 touches a game. As I eluded to earlier, Cam is going to have problems finding open receivers, which should lead to plenty of checkdowns for CMC. At the same time, as good as the secondary can be, the Giants have given up plenty of rushing yards. Don’t be surprised if we see a big run to pad those stats, and finally a trip to the endzone! Receiving Corp: Don’t worry, we will get better and better as the year progresses, but we aren’t at the point yet where we can depend on anyone beyond Cam, CMC and Funchess ($5,200 DraftKings, $6,200 FanDuel) for fantasy purposes. This isn’t to say there won’t be production from the secondary receivers like Jarius Wright ($3,500 DraftKings, $4,800 FanDuel) or Torrey Smith ($3,500 DraftKings, $4,600 FanDuel). In fact, with teams able to key in on Funchess, I would expect someone like Wright, Smith or DJ Moore ($3,500 DraftKings, $4,700 FanDuel) to be more in line for a big play, while Funchess is the only red zone threat through the air. The fact is, this Giants D is a lot better than advertised, and the way to attack them has shown to be on the ground. If we see less than spectacular numbers passing Sunday, it could very well be because we are going our job. Defense/Special Teams: Well just because it was a bye week doesn’t mean there wasn’t any Panthers news. In case you’ve been asleep for the last 2 weeks, we signed safety Eric Reid. This is a big addition for our secondary, and shores up one of our few weaknesses. Did I mention Thomas Davis is coming back? They will have their hands full with Odell Beckham and Saquan Barkley. However, I feel like we will force the Giants into a lot of 3rd and long situations, which should force them to become one dimensional and predictable. As long as we can keep Barkley between the tackles and make Eli Manning beat us, I like our chances to force some turnovers and keep their scoring low. There you have it! This week I am not big on any Panthers beyond Newton, McCaffrey and potentially Funchess if you’re stacking them. There are some better games on the slate if you are playing DFS, but for your season long leagues the top Panthers aren’t a bad play. Remember, with these rule changes offense is going to improve week after week, so expect scores in real life and fantasy to increase. It’s all about finding the ideal matchups, whether it’s your team or not. Good luck with your teams or lines today and as always, Keep Pounding! Have any questions? Check us out on DFSXperts.com, where we offer a spreadsheet with position rankings, value plays and Vegas lines. Find us on Facebook, DFS Xperts and follow us on Twitter @RealDFSXperts or my personal handle, @DFSXKennyB. We are growing every day, come and join us!